The Myrtle Beach Junior Golf Foundation is a not for profit organization located at River Oaks Golf Plantation in Myrtle Beach. 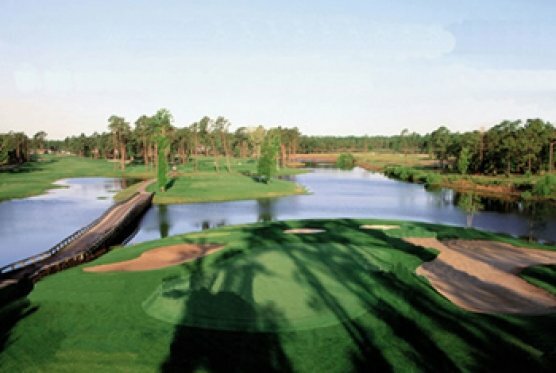 The mission of the Myrtle Beach Junior Golf Foundation is to provide junior golfers of all skill levels and ages quality instruction year round and the opportunity to play competitive golf in the Grand Strand. The coaches at the Myrtle Beach Junior Golf Foundation are committed to helping the younger generation learn the game of golf. They have summer camps and after school clinics where their main objective is teaching kids the correct fundamentals of the game of golf, all in a fun environment. The Myrtle Beach Junior Golf Foundation believes that when a young person plays the game, they develop character and can learn other life lessons. In addition to learning to get along with others, they learn how to make good decisions and do the right thing. The Myrtle Beach Junior Golf Foundation teaches them not to give up, be responsible for their own actions and to be a good sport – win or loose. Their goal is to develop the kids golf game to their fullest capacity and ultimately help each reach the goals that they set and perhaps live their dreams. The Myrtle Beach Junior Golf Foundation has a number of coaches that work with the kids: Russ Brown, Dan Poling, Joe Carbonell, Tom Paratore, Patrick DeWildt and Ryan Egger. Russ Brown is the founder of the Myrtle Beach Junior Golf Foundation, and was a former program director and head coach at the First Tee of Myrtle Beach from ’05-’10. Dan Poling is a former professional golfer and lead coach for the First Tee as well. Russ and Dan are co-owners of the Golf School of Myrtle Beach at River Oaks. Joe Carbonell is the director of the Myrtle Beach Junior Academy and Tour and works with the advanced juniors in the program. The remaining three coaches are all certified instructors and are part of the staff at The Golf School of Myrtle Beach at River Oaks. The Myrtle Beach Junior Golf Foundation is the perfect place to introduce your kid to the game of golf, get instruction, get the competitive juices flowing, or just have some fun with kids their own age.